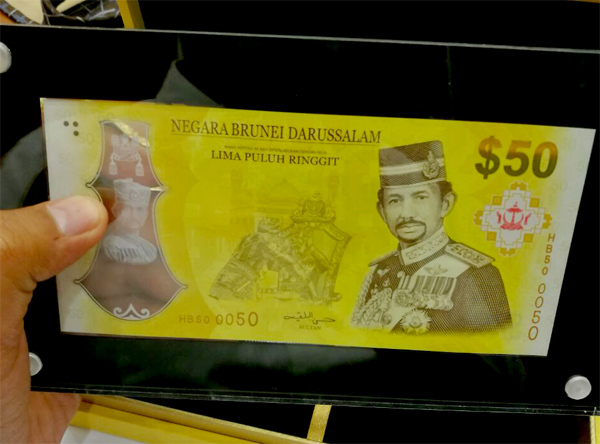 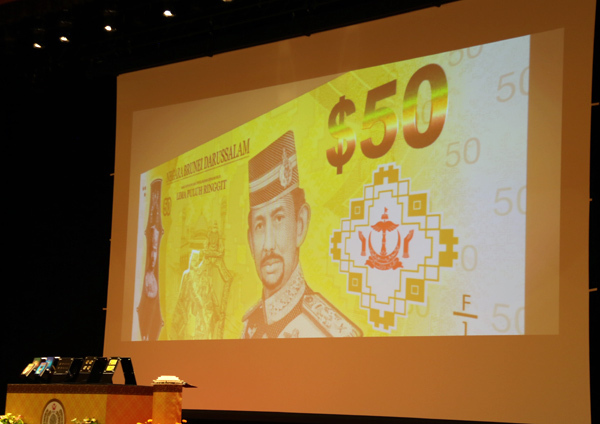 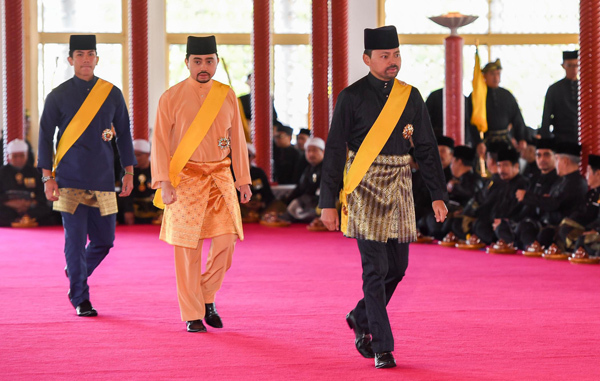 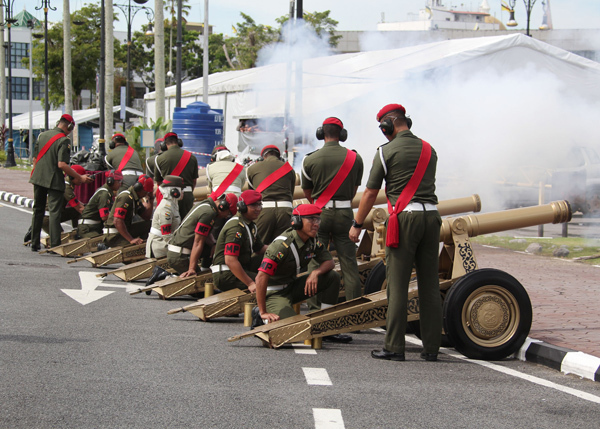 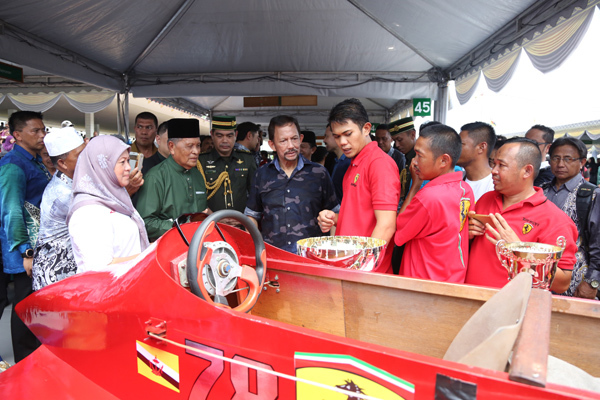 In conjunction with the Golden Jubilee Celebration of His Majesty the Sultan and Yang Di-Pertuan of Brunei Darussalam’s Accession to the Throne which will be held this year, the Committee for Media, Publicity, Exhibitions and Printing would like to inform the public that the official Website, Mobile App and Social Media accounts including the official hashtag for the Golden Jubilee Celebration may be accessed as of today, Wednesday, 16th August 2017. 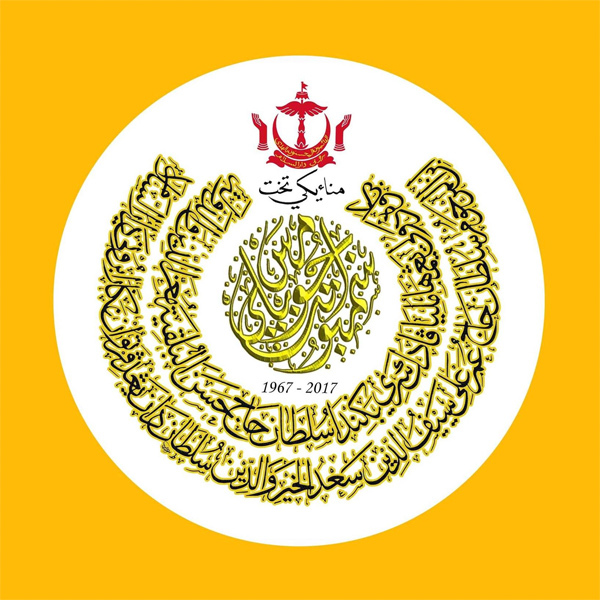 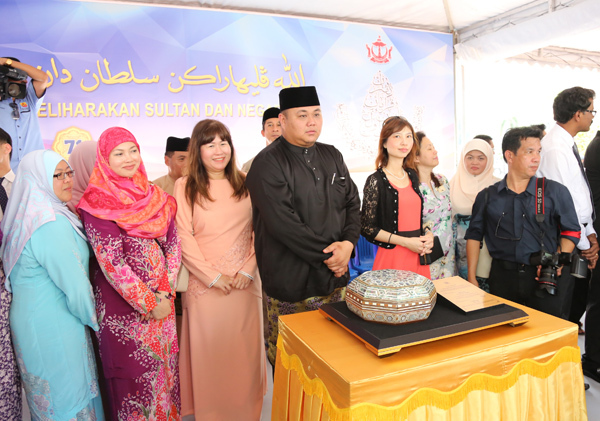 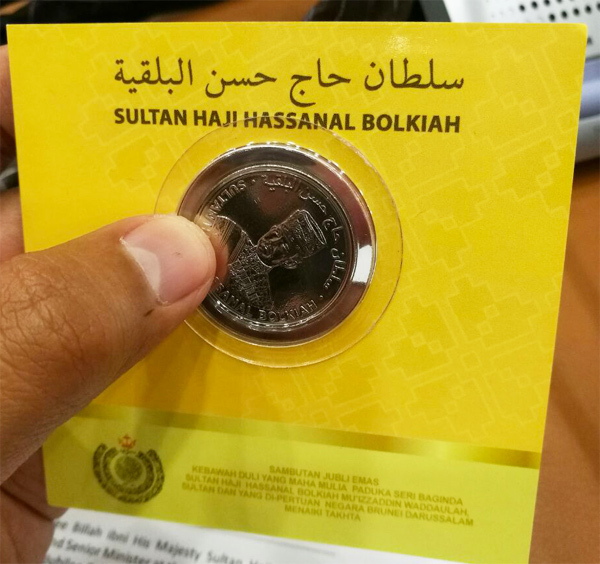 The establishment of the Website and Mobile App is aimed at providing information including the latest news on the celebration of the Golden Jubilee of His Majesty the Sultan and Yang Di-Pertuan of Brunei Darussalam’s Accession to the Throne. 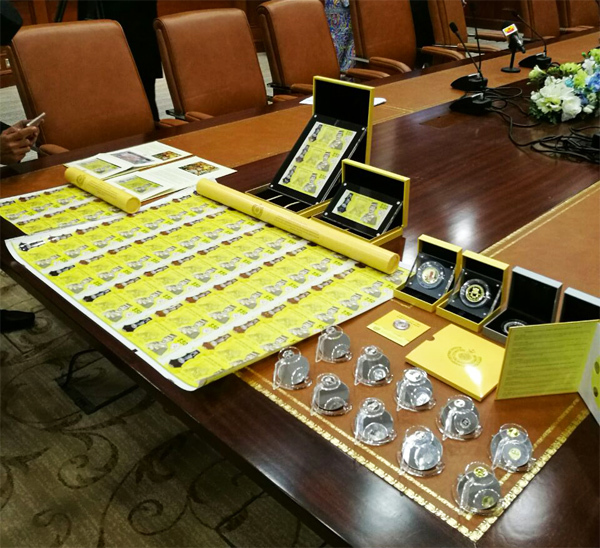 The Website and Mobile App also contains information such as the Calendar of Events, posters and publications in relation to the Golden Jubilee. 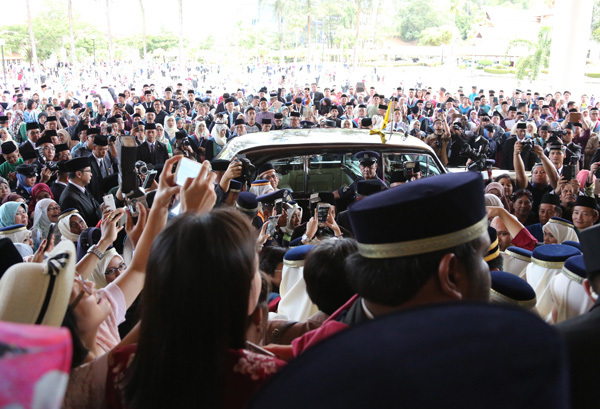 The information will be updated from time to time. 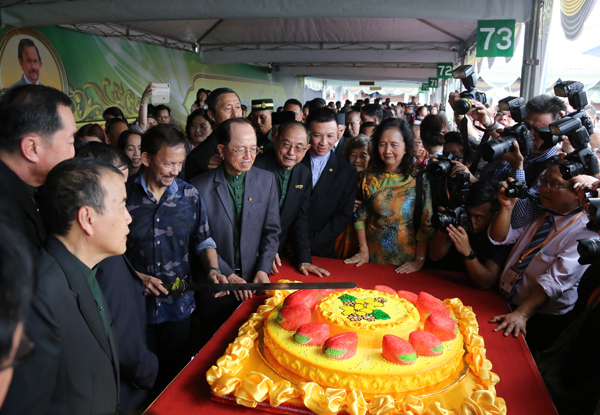 In addition to the informative contents, the Website and Mobile App will also provide an interactive platform that enables members of the public to convey their greetings online in relation to the Golden Jubilee Celebration. 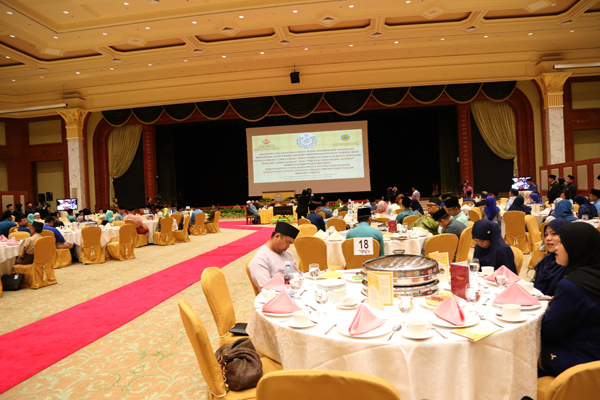 The public will also be able to watch live broadcast events through “Live Streaming” on the Website and Mobile App. 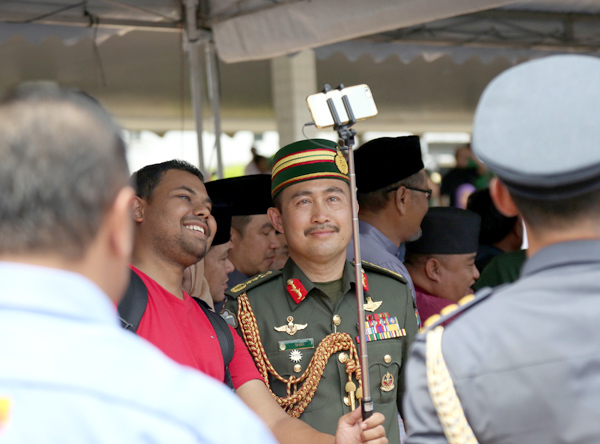 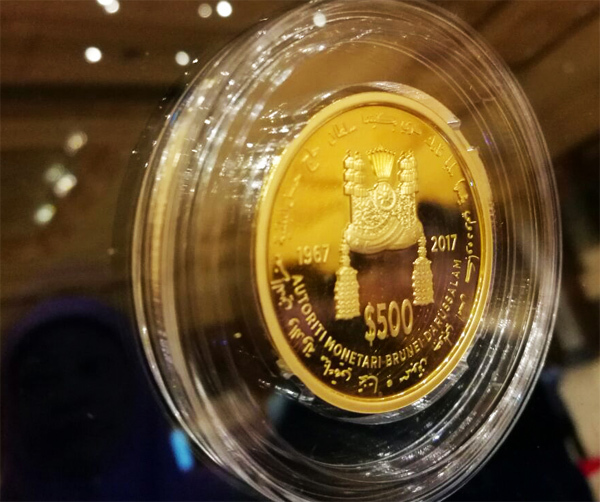 The public may also use the official Golden Jubilee hashtag, #HMjubliemas in their respective social media account posts. 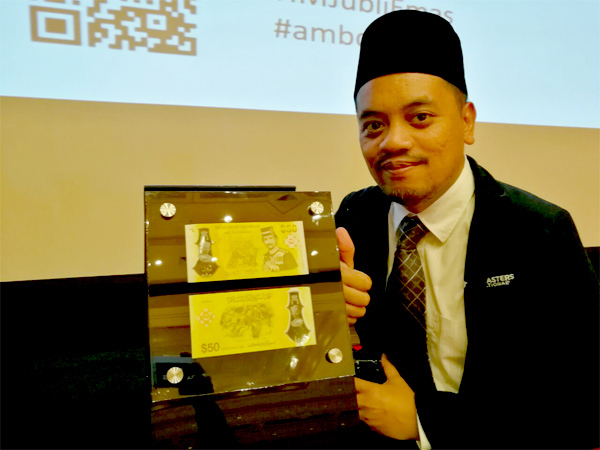 For Android mobile users, the Mobile App HMjubliemas may now be downloaded through Google Play; whereas for IOS mobile users, the Mobile App HMjubliemas will be made available from the App Store in the near future. 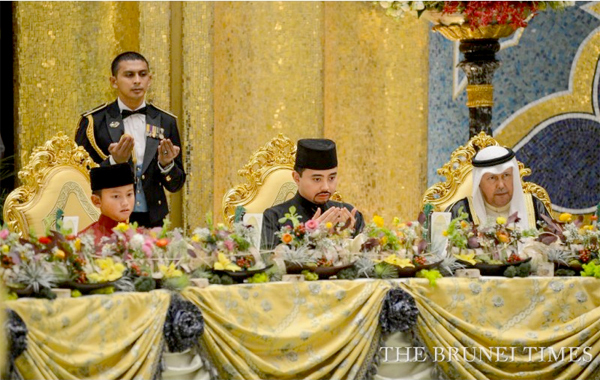 Text by Quratul-Ain Bandial of The Brunei Times. 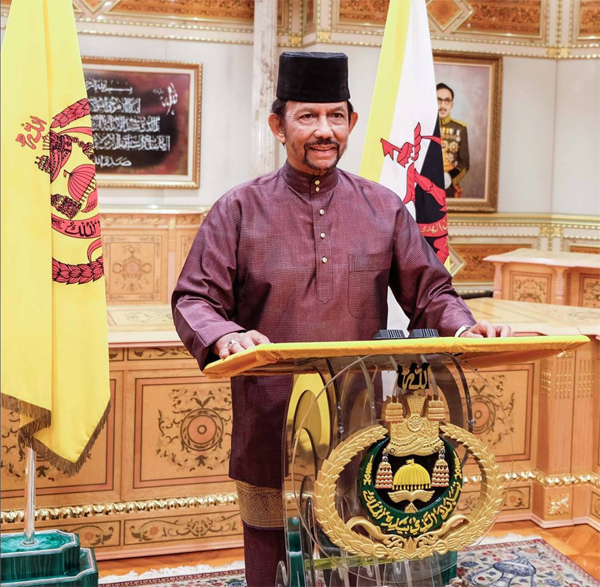 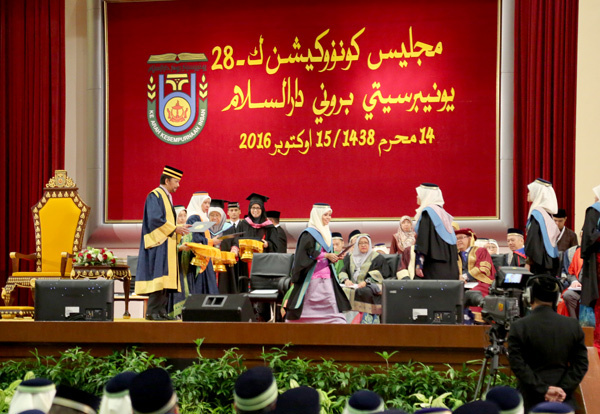 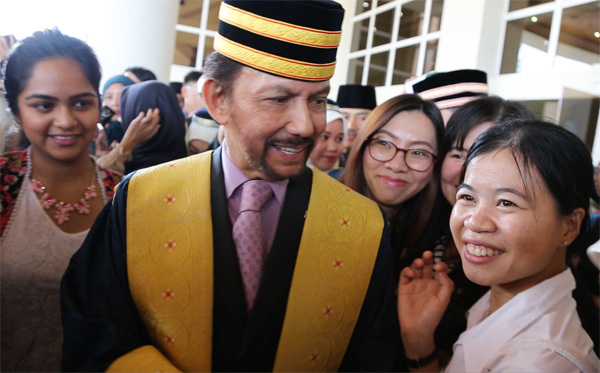 Brunei and Kuwait have pledged to expand cooperation spanning education, tourism, trade and investment after the countries inked several agreements at Istana Nurul Iman yesterday. 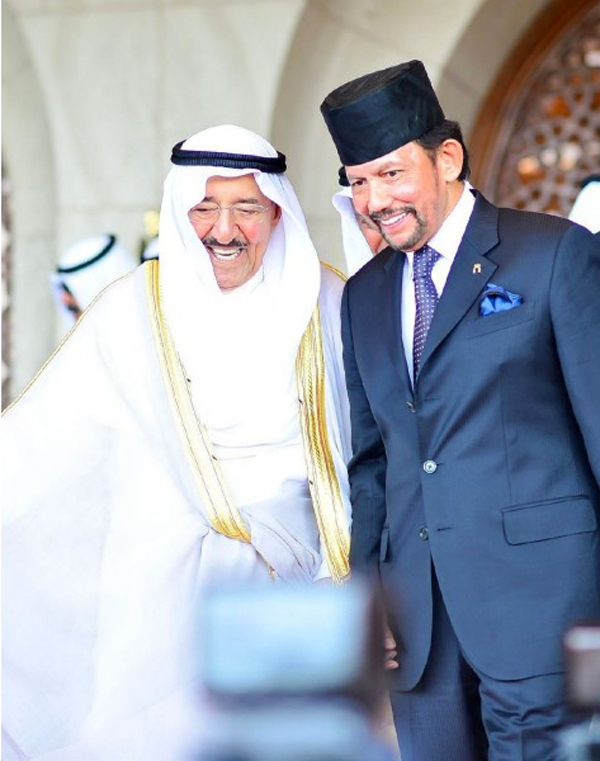 The leaders of both countries welcomed the signing of two agreements and four memoranda of understanding (MoUs) as a “positive step in elevating and deepening bilateral engagement”. 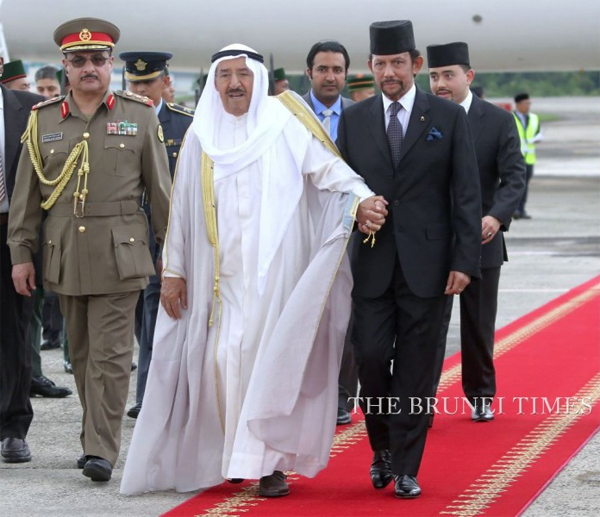 His Majesty Sultan Haji Hassanal Bolkiah Mu’izzaddin Waddaulah, the Sultan and Yang Di-Pertuan of Brunei Darussalam welcomed the Emir of Kuwait His Highness Sheikh Sabah Al-Ahmad Al-Jaber Al-Sabah to the capital yesterday, receiving him at the airport for a two-day state visit. 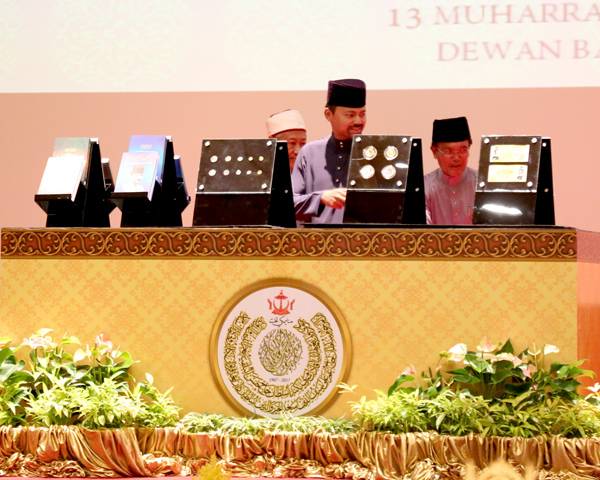 At the palace, the leaders witnessed the signing of an agreement allowing visa-free travel for holders of diplomatic, official and special passports; as well as a protocol amending a previous agreement on the avoidance of double taxation. 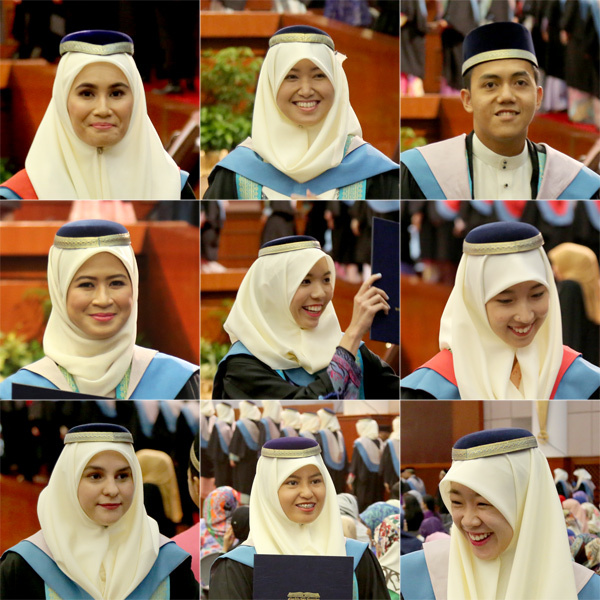 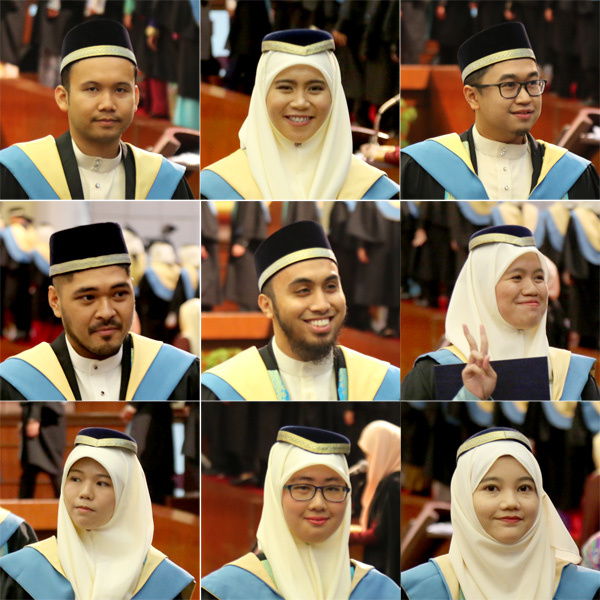 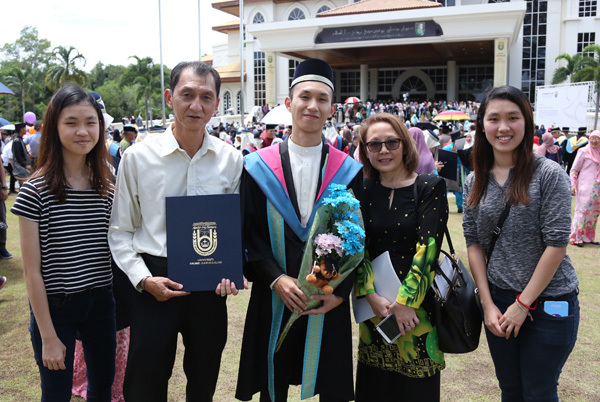 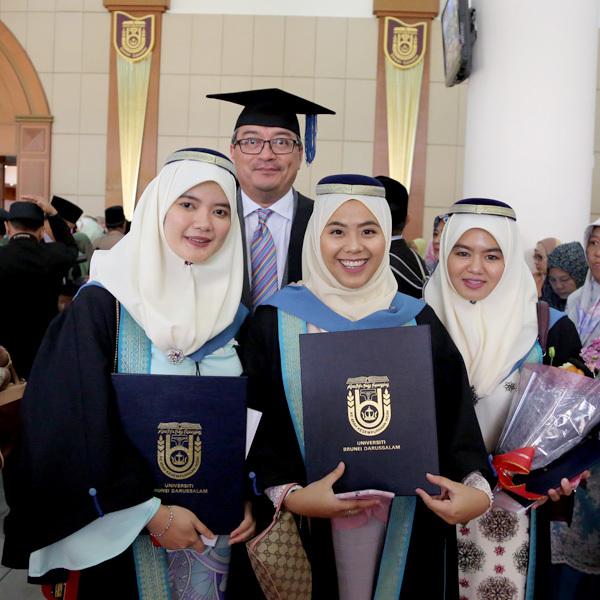 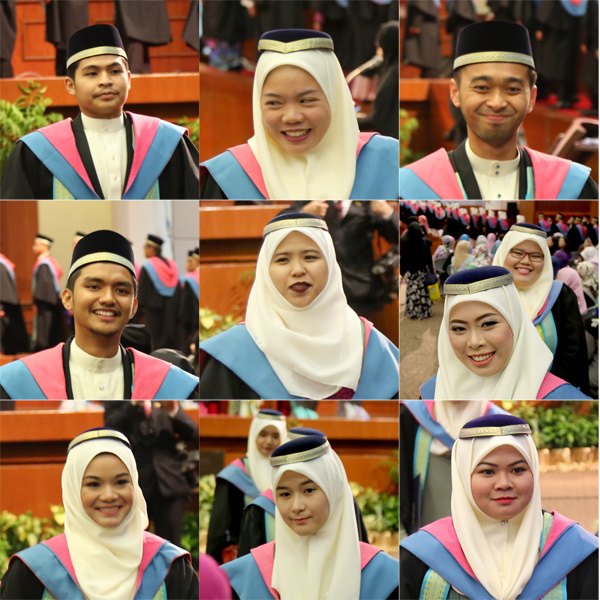 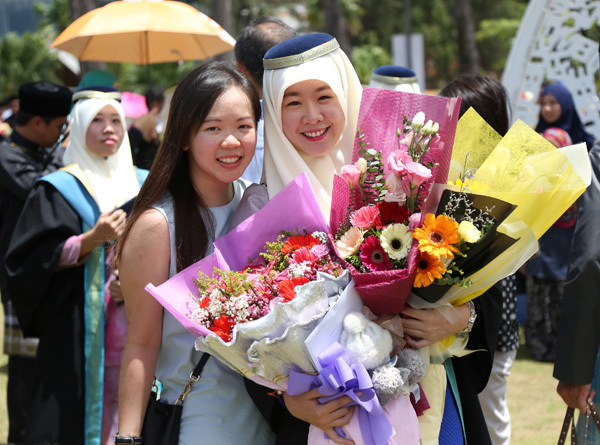 The four MoUs cover higher education and scientific research; tourism; training between the foreign affairs ministries of both countries; and the establishment of a joint commission on government-to-government cooperation. 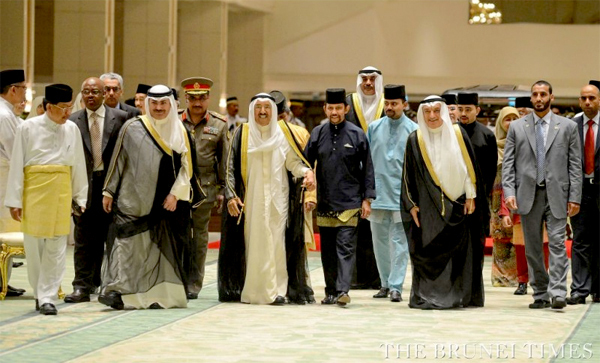 In a joint statement issued by the Prime Minister’s Office, the heads of state said the increased trade volume between the two nations reflected the “huge potential” to expand trade and investment ties, and urged their officials to explore opportunities in oil and gas, ICT, Islamic affairs, and private sector linkages. 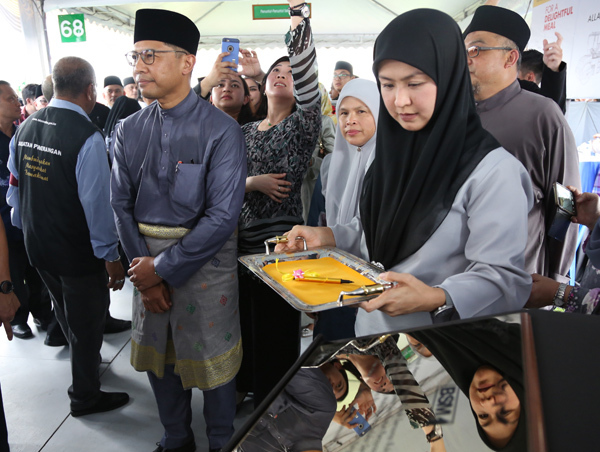 The leaders also acknowledged the need to diversify away from a petroleum-based economy, underscoring the role of the private sector — particularly small to medium enterprises (SMEs) — in enhancing competitiveness. 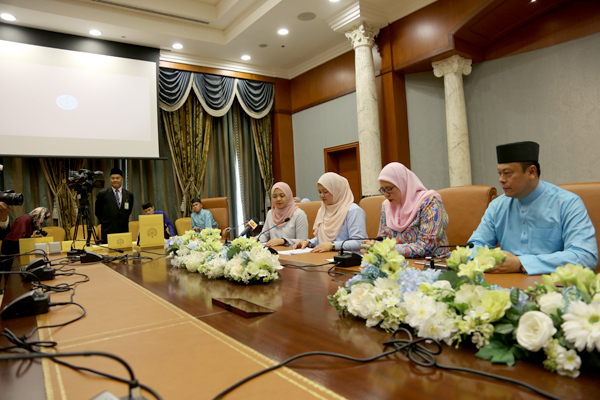 The statement said the Third Joint Committee Meeting on Economic and Technical Cooperation will be held in Bandar Seri Begawan in December 2016. 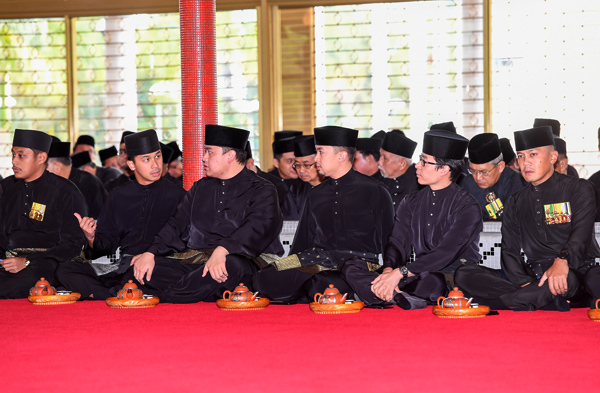 Present during the audience at Istana Nurul Iman were HRH Prince Hj Al-Muhtadee Billah, the Crown Prince and Senior Minister at the Prime Minister’s Office; HRH Prince Mohamed Bolkiah; HRH Prince Hj Sufri Bolkiah; HRH Prince ‘Abdul Malik; HRH Princess Hjh Masna, Ambassador-At-Large at the Ministry of Foreign Affairs and Trade, as well as other members of the royal family, cabinet ministers, and members of the Kuwaiti delegation. 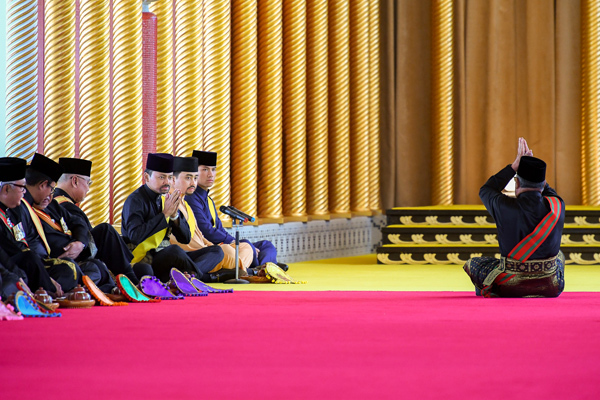 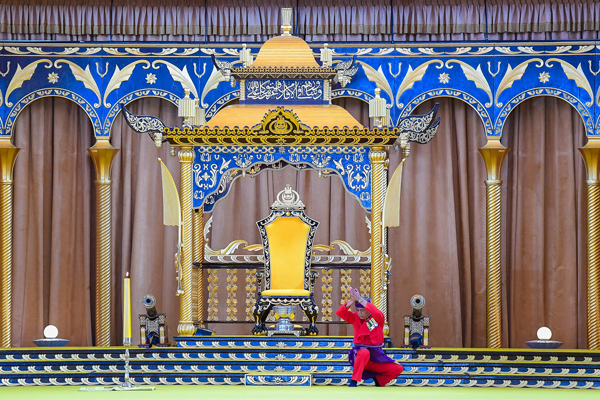 The Emir was welcomed to the palace with a 21-gun royal salute, and was also introduced to senior members of His Majesty’s government. 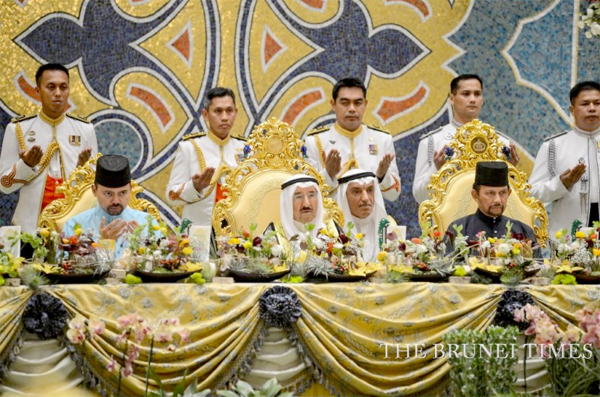 Later in the evening, a state banquet was hosted in honour of the Emir’s first state visit to the sultanate. 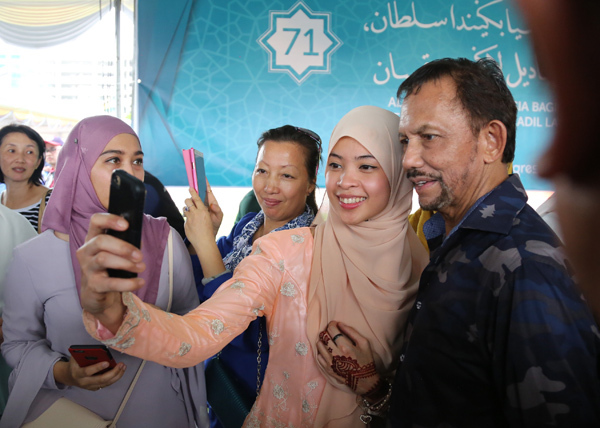 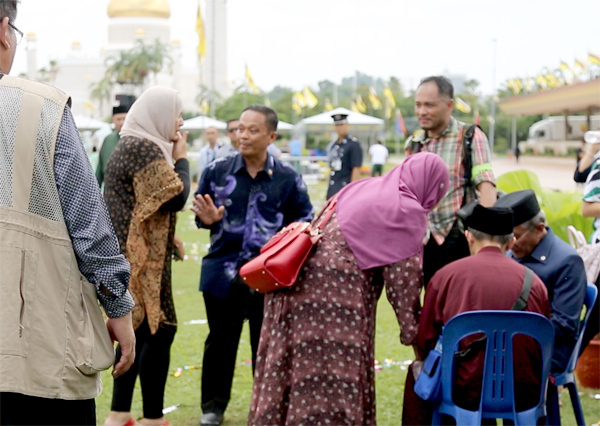 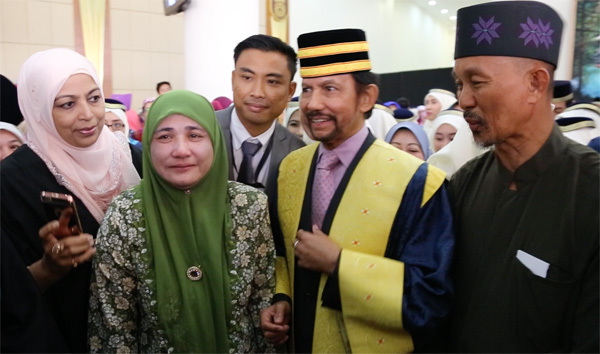 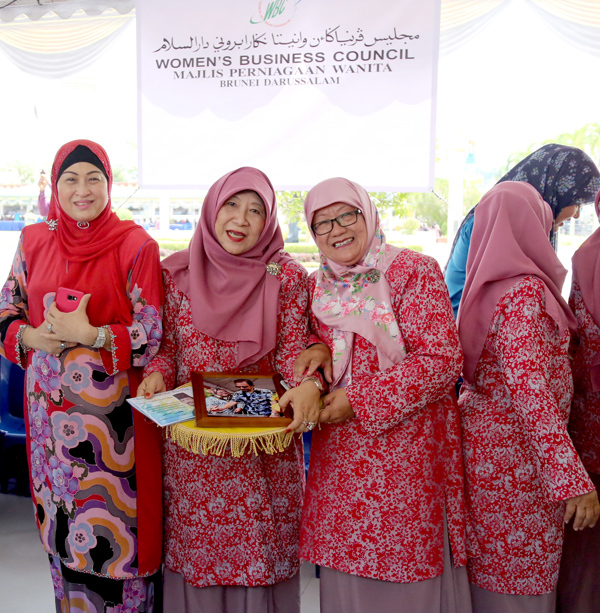 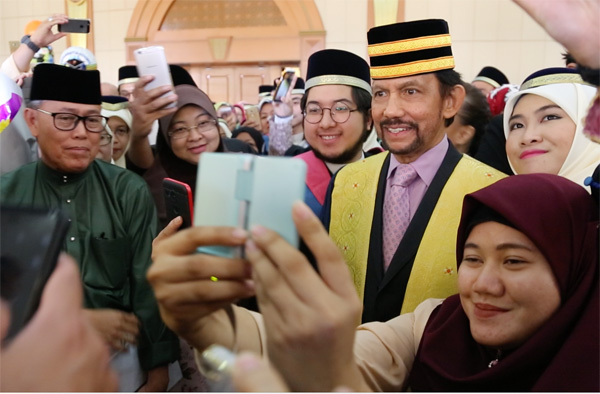 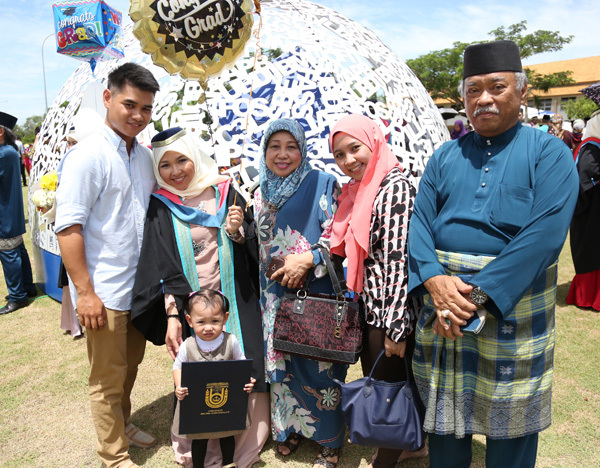 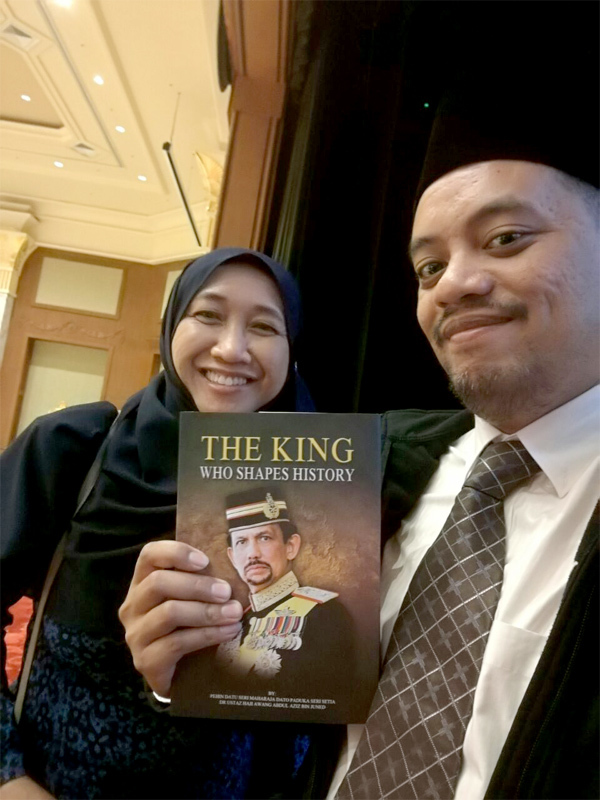 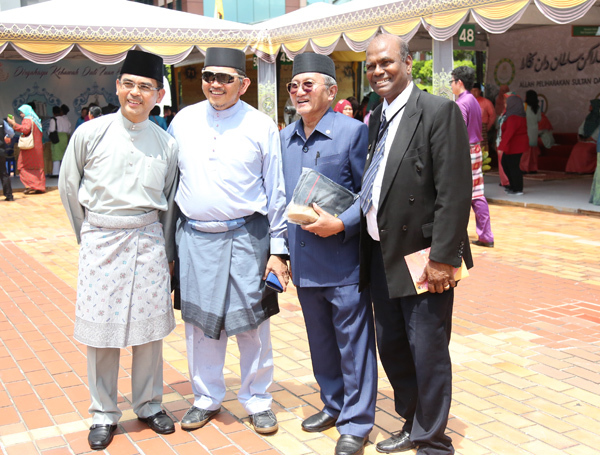 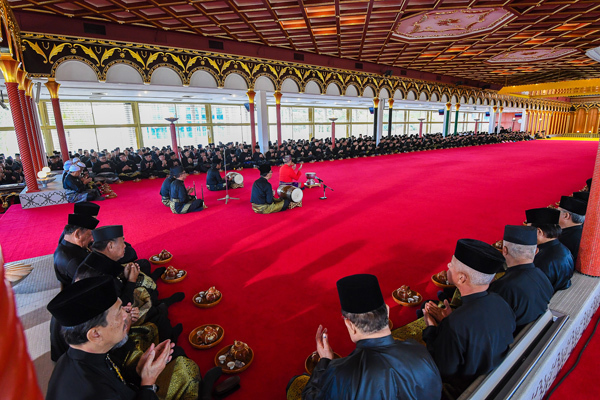 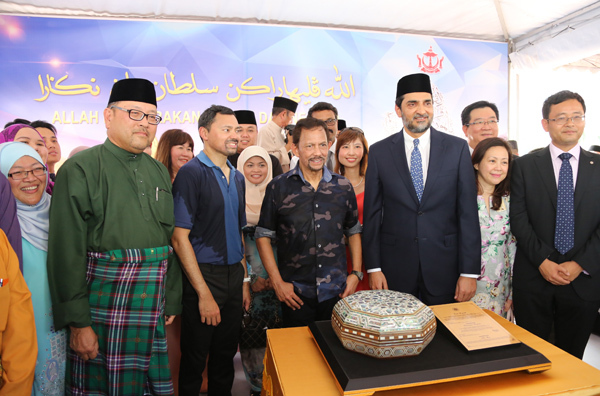 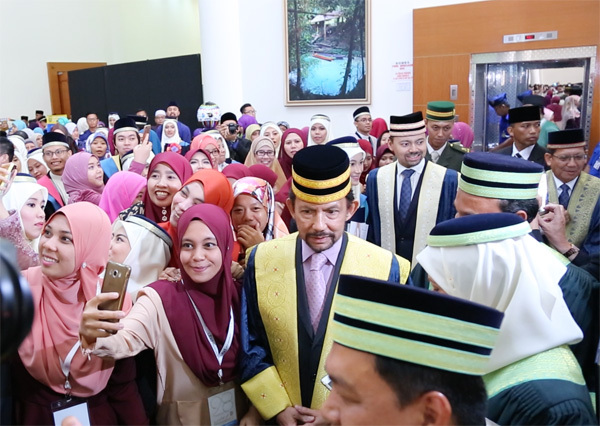 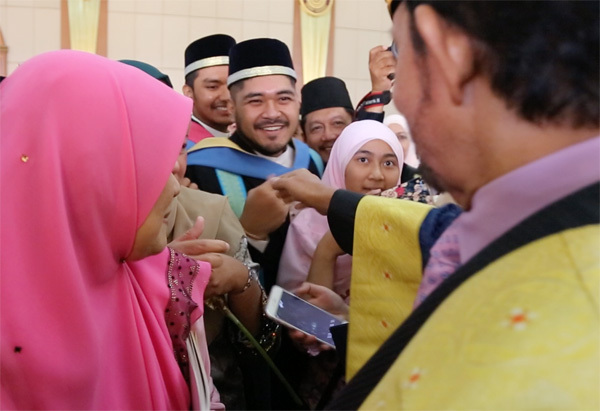 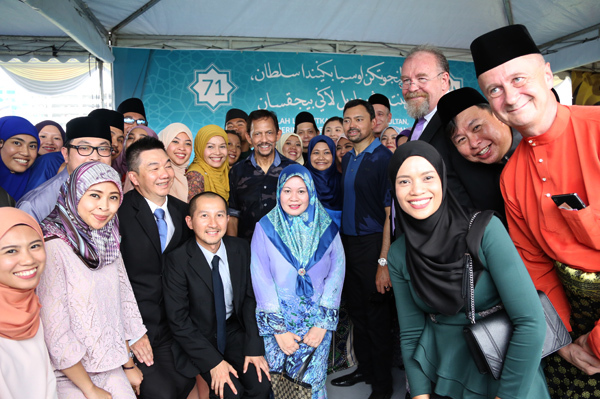 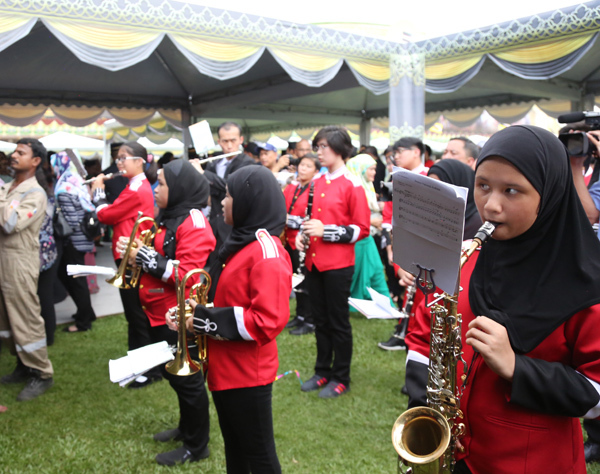 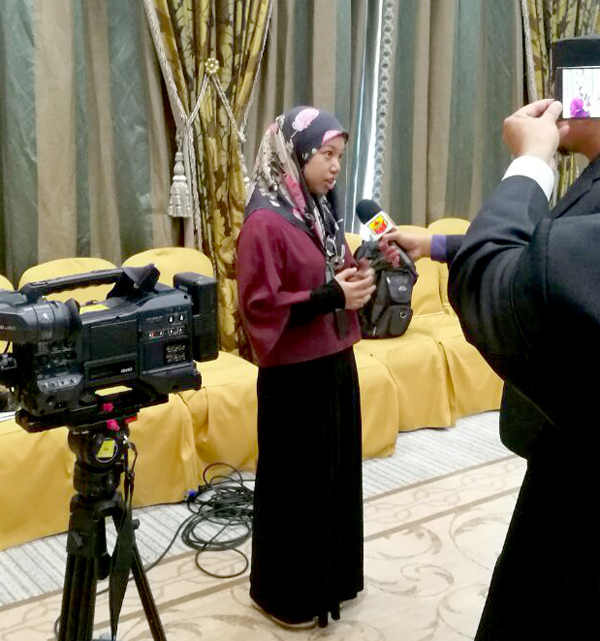 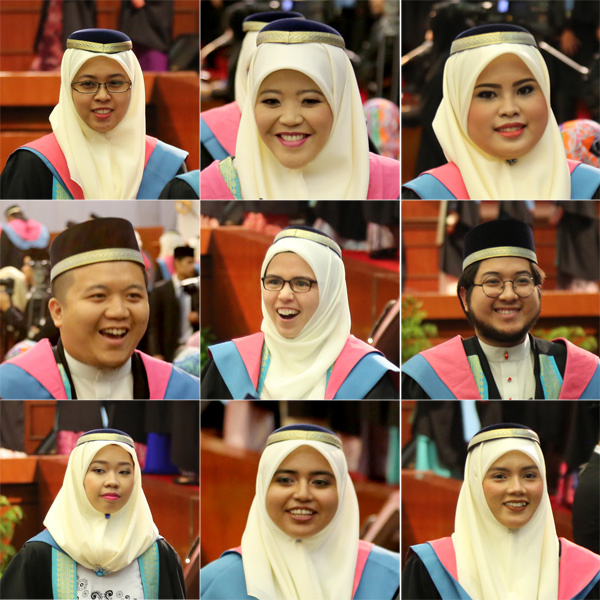 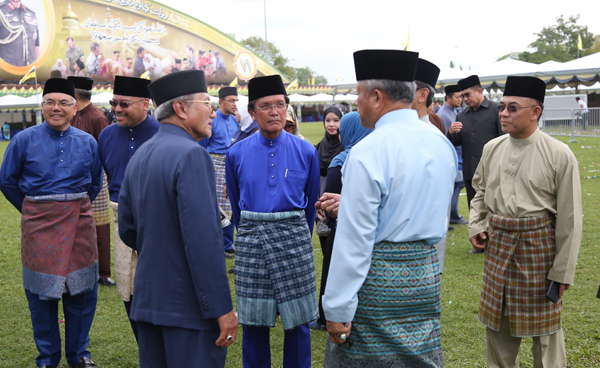 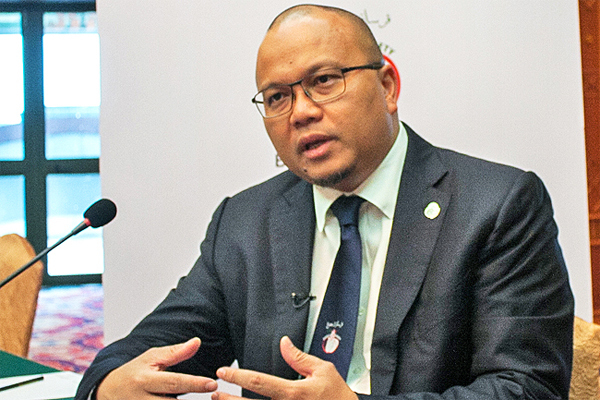 Text by Quratul-Ain Bandial of The Brunei Times and Images by Khaliq Roziman and Yusri Adanan of The Brunei Times and Infofoto.